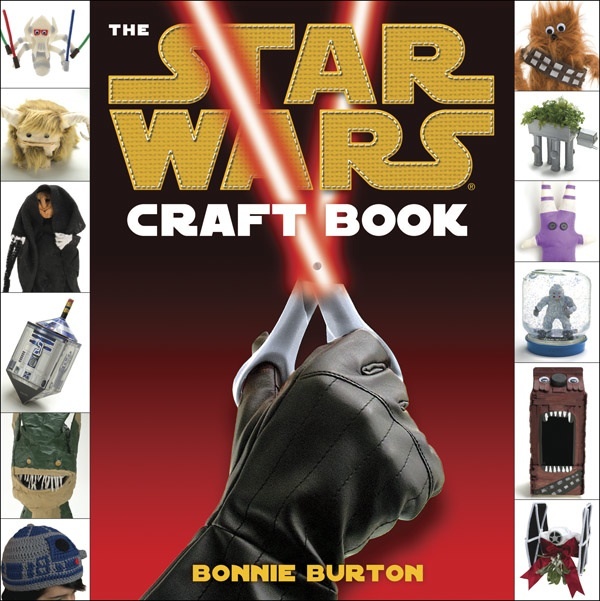 Bonnie Burton, author, prolific Twitterer, content developer at StarWars.com, and Crafty Geek Extraordinaire has created an awesome new how-to, the Star Wars Craft Book, available next Tuesday, March 29. The fully illustrated guide walks would-be crafters through creating projects like Chewbacca sock puppets and AT-AT planters. Not only do I have a sneak peek of the book for you, I got a chance to chat with Bonnie about crafting, Star Wars, and what it's like to work in the hallowed halls of Lucasfilm. Read the interview and see the crafty goodness after the jump! 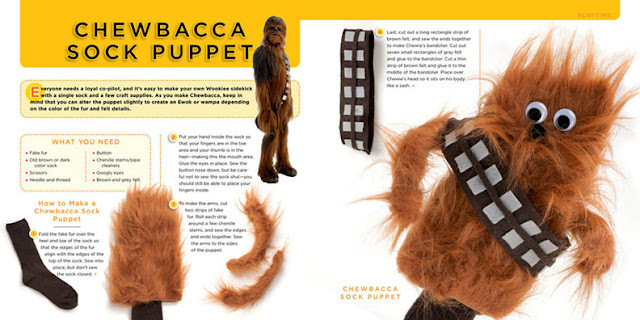 You have put a lot of time and loads of effort into creating the projects in the Star Wars Craft Book. What was the bookmaking process like for you? Crafting has always been a big part of my life. 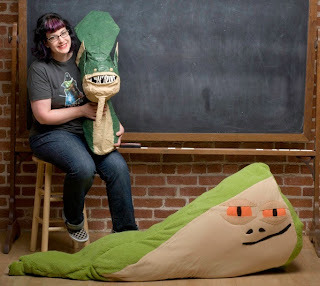 Even if I didn't work for Lucasfilm as my day job I would most likely still be making Jabba the Hutt Body Pillows and Chewbacca Sock Puppets just for the fun of it. Being able to incorporate my love for crafting into my job, and now into a fun book, is a dream come true. My crafting process isn't very organized. I get inspired by something I see then I make it. And I get inspired A LOT. 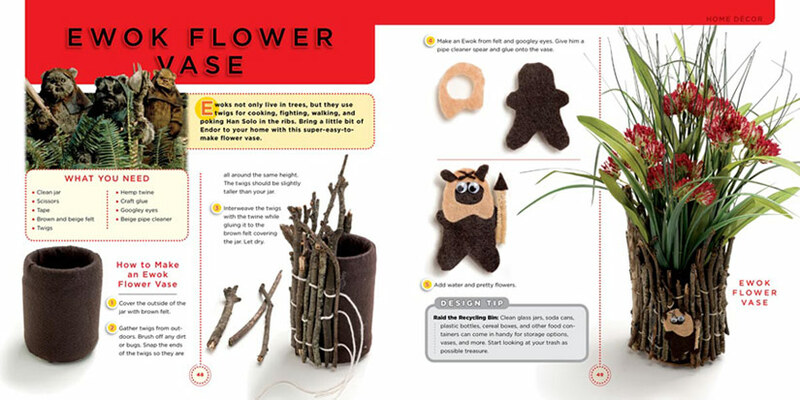 When I was putting The Star Wars Craft Book together I wanted a varied selection of super-easy crafts along with some challenging crafts and every skill level in between. 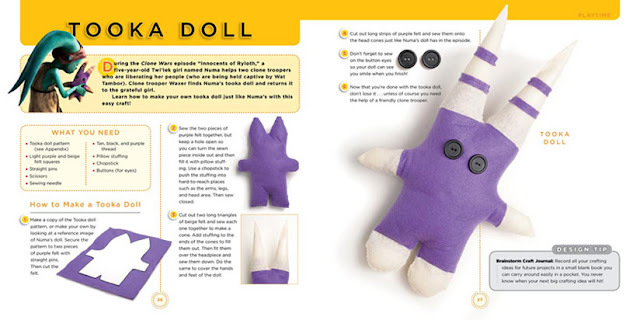 That way even if you're an advanced craftster or someone who's never sewn a button can still find crafts in the book they can do. I also wanted to make sure that there are crafts for both guys and girls, so there's no gender bias with the crafts. 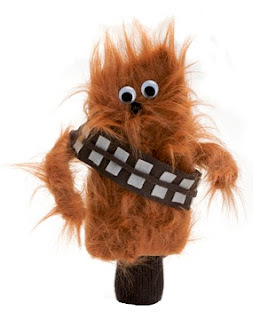 After all, Star Wars is for everyone, so Star Wars crafts should be too! You've said that once you work for Lucasfilm, you start to see Star Wars everywhere. Is that true for craft project inspiration, too? What was the strangest or most unlikeliest of things to inspire one of the projects in the books? It's so true! The best example of this is the Bith Band Spoon Puppets that are in the book. Figrin D'an and the Modal Nodes are a species called Biths, and their oblong-shaped heads look a LOT like wooden cooking spoons. So one night when I was making pasta, as I stirred it using the wooden spoon I kept humming the Cantina theme song and I couldn't figure out why. Then it hit me -- I was stirring with a Bith! Minutes later I was making a Bith Spoon Puppet with a felt outfit on and black bead eyes. Same thing happened when I was washing my face one night and I noticed the fluffy white washcloth I was using would make the perfect material for a Wampa doll. A pile of pillows that looks like Jabba the Hutt's silhouette soon becomes a Jabba the Hutt Body Pillow. 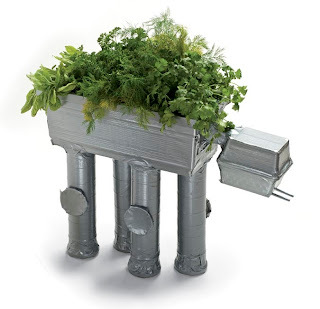 Pringles cans become AT-AT legs for an herb planter. And so on. Welcome to my brain. You emphasize repurposing objects like old sweaters to be used in projects but sometimes things like googly eyes just have to be purchased. What are your favorite online resources for crafting materials? I buy almost all of my craft supplies in person at local mom & pop craft shops and Five & Dime variety stores. I'm a big fan of supporting local shops in my neighborhood which are often run by moms, grandmas and art school students who are always quick with a crafting tip. If I need specialty paints, I love to go to Michael's or Joann Fabric & Craft Store. I also suggest hitting garage sales so you can dismantle other toys to make your own crafts. Do you ever have craft projects that turn out to be total disasters? What was your funniest one? I've had many battles with spray glue and spray paint that did not end well. I cannot stress this enough -- if there's toxic fumes involved in your crafts, don't use those materials in a small, windowless room or you might astral project against your will. On a less dangerous note, I once wore a Star Wars bed sheet dress that fell apart while I was wearing it! I've become a much better seamstress since then. I've found that being crafty is infectious; if friends or coworkers are working on projects, people around them want to do so, too. Have any of your coworkers at Lucas Online been inspired to join you in making Star Wars crafts? What are some of your favorites? Oh yes! I have to be careful not to start a Star Wars craft project at work if we're under deadline for another project or I'll totally derail it just by getting out a packet of googly eyes! 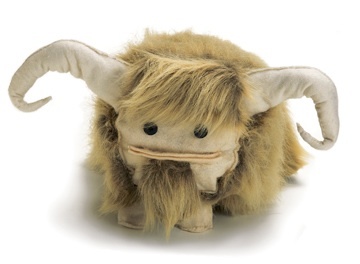 Star Wars puppet making is probably the one craft that gets everyone the most excited. I think it reminds them of their childhood the most. There's something about making a tiny creature you can make talk that resonates with us all. Star Wars fans around the world dream of visiting the various Lucas related campuses. There was even a movie, "Fanboys," written about a cross-country trip to break into Skywalker Ranch. Would you briefly describe what working and walking around in such hallowed halls is like? What's the next big project you're tackling? Do you have any words of inspiration for geeky crafters? Open your mind to get ideas from the weirdest things. I've gotten ideas from just looking at my recycling bin trying to figure out what I could reuse instead of throw out. I've made an R2-D2 pinhole camera from an empty oatmeal container, an Ewok vase from a large jar, a Hoth snowglobe from small jars and an AT-AT from old soup cans.